A neck lift is a surgical procedure which addresses age-related changes to this area and restores the youthful contours of the jawline and upper neck. Laxity of neck musculature may cause a loss of the natural definition between the jaw and the neck, as seen in youth. While the youthful neck has an acute or 90-degree angle between the neck and jawline, the aging neck has an obtuse or wider angle. Some people may develop shortening and laxity of the neck muscles (platysma) resulting in cords or bands. Loss of subcutaneous neck fatty tissue may result in more prominence of neck muscle fibers. Am I a Candidate for Neck Lift Surgery? 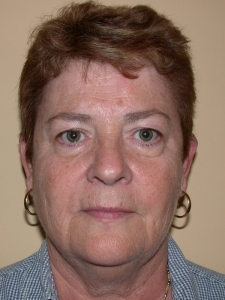 An isolated neck lift is indicated in patients who do not exhibit more global signs of facial aging and whose necks have more significant age-related changes. Patients who are surgical candidates must also be in overall good health. Hypertension, diabetes, and other common medical issues must be well controlled before surgery. People who use tobacco products must stop a minimum of 6 weeks prior to and after surgery. Our board-certified plastic surgeon will assess your overall medical history to determine if you are medically fit for surgery. Do I Need a Face and Neck Lift? To determine if you need a facelift in addition to your neck lift procedure, your surgeon will evaluate the location and extent of your aging concerns. As noted above, aging is typically not localized to one area and, instead, tends to gradually occur across both the face and neck. In some cases, patients may have more accelerated aging in one area compared to the other, requiring only one procedure to provide natural-looking results. For many patients, however, our surgeon will recommend a combination face and neck lift surgery to tighten skin and neck muscles as well as remove excess tissue. By addressing both areas at once, you can obtain a more uniform rejuvenation and avoid the unnatural appearance of your face and neck looking to age at different rates. The best option for your needs will be discussed with you during your consultation. What Happens in the Neck Lift Consultation? At your initial consult for a neck lift, our plastic surgeon will meet with you to evaluate your concerns and desired outcomes. 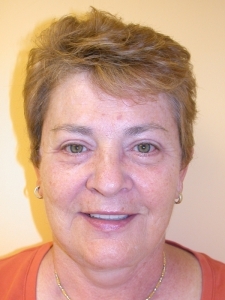 You will undergo a detailed examination of your facial anatomy and the age-related changes that you are most concerned with. Based on this assessment, your surgeon will develop a comprehensive surgical plan that will address each of your concerns. In addition to evaluating your specific concerns, your surgeon will also perform an assessment of your overall health to identify underlying medical conditions that may affect your results, such as uncontrolled hypertension or diabetes, smoking, and a history of scarring following previous surgery. Based on your history, you may be asked to see your primary care physician prior for a preoperative assessment. Please inform the Richmond Aesthetic Surgery team of any difficulties you may have had with prior surgeries, of all current medications you may take, including supplements, and whether you are actively smoking. If you are an active smoker, you will be asked to stop smoking for at least 6 weeks prior to surgery and to cease smoking for 6 weeks after surgery. Smoking cessation will minimize your risk of potential complications in wound healing and maximize the likelihood of a fantastic result. Your surgeon will then provide you with a detailed surgical plan that will address your stated goals for surgery. He will review the operative plan, risk, and realistic results that can be achieved with surgery. On the day of surgery, you will meet your surgeon to ask any final questions that you may have. You will meet a Board Certified Anesthesiologist and Nurse Anesthetist who will provide your anesthesia. Neck lifts are usually performed under general anesthesia, since they are frequently combined with other facial rejuvenation procedures. However, twilight anesthesia can be used for neck lifts in certain cases. Please inform the Anesthesia team of any particular difficulties you may have had with prior surgeries, especially anesthesia-related nausea. You will meet our experienced intraoperative nursing staff who will care for you during surgery. The typical neck lift takes approximately 2 hours; however, surgical times may vary with the addition of other procedures. Patients with isolated neck lifts can usually go home the same day; however, when combined with other procedures, our surgeon recommends an overnight stay for observation and your comfort. What Does the Neck Lift Procedure Entail? The combination of suturing the muscle edges closest to the chin with repositioning the portion of the muscle closest to the ear results in the formation of a muscular sling that redefines the neck shape lost with aging. This maneuver reestablishes the crease that separates the neck from the chin and lower face that is typically lost as we age. A neck lift is an outpatient procedure, usually done under general anesthesia. Neck rejuvenation is accomplished through a series of well-concealed incisions that start behind the ear and extend along the hairline behind the ear. An additional incision is often made behind a common crease of the neck underneath the chin. Through these incisions, skin flaps are raised to expose the underlying muscle of the neck called the platysma. The platysma is a fan-shaped muscle that is present on either side of the neck that extends from an area behind the ear, along the border of the jawbone to the midline of the front of the neck. This muscle then attaches to the base of the neck along the collarbone. You can observe this muscle by tightening your neck with an exaggerated frown. Prior to skin flap elevation, a fluid containing local anesthetic and medicine that prevents bleeding can be infiltrated to assist in pain control and the prevention of bleeding. In patients with significant subcutaneous fatty deposits, liposuction can be performed to assist in reshaping the neck. This liposuction is performed prior to elevation of the skin flaps. The key component of a neck lift that contributes to a more youthful-appearing neck is the repositioning and tightening of the neck muscles. Through the small incision under the chin, thick bands along the edges of the neck muscle can be divided. Separation between the edges of the platysma can be sutured together. Attention is then made to the edge of the platysma that is closest to the ear. Through the incision behind the ear and along the hairline, the platysma can be elevated and advanced toward the bony prominence behind the ear where it is repositioned. Once the neck muscle is tightened and repositioned, the previously raised skin flaps are then redirected in the same direction as the muscles. Any excess skin can then be removed and the incisions are closed. Typically, a soft drain is placed deep to the skin incisions to collect any tissue fluid and blood that may develop after surgery. What Can I Expect in My Neck Lift Recovery? Immediately after surgery, you will be placed in a loosely applied soft dressing. Prior to discharge from the hospital, you will be provided with instructions with respect to your dressings and drain management. Postoperative drains are usually removed within 2 to 4 days after surgery. In most patients, all sutures are removed approximately 7-10 days after surgery. On your first postoperative visit, you may be placed in a postoperative compression garment that will assist in the reshaping of your neck. Shortly after surgery, you will experience mild swelling and bruising of the neck, which resolves in 1 to 2 weeks. While some swelling occurs in most patients, you will still see an immediate result after surgery. As this decreases, your results will continue to improve over several weeks to several months time. In most patients, postoperative pain is easily managed with oral pain medications. You will receive prescriptions for pain medications prior to surgery. In addition to pain medication, you will receive medication to address any postoperative nausea. In most cases the bruising subsides within the first week. You can assist in reducing postoperative swelling by keeping your head elevated while at rest for the first 5-7 days. Initially, you may experience some numbness associated with the skin adjacent to the incisions and along the neck. In addition, some patients may experience some weakness in the facial muscles adjacent to the lips and mouth. In most cases, the numbness and weakness resolves within a few weeks. In rare cases, it takes 6 months or longer for the numbness or muscle weakness to resolve. As the initial surgical swelling resolves, your new rejuvenated neck will become more evident. You will notice a more youthful neck with improved definition along the junction of the neck and jawline. Please remember that it may take up to 3 months for swelling to completely resolve. What Are the Possible Complications of Neck Lift Surgery? Neck lifts performed by a qualified Plastic Surgeon such as Dr. Neil Zemmel are rarely associated with complications. The most common complications are hematomas (blood collections deep to the surgical incision) and temporary facial numbness and weakness, described above. Rarely, permanent nerve injury occurs that may require correction with additional surgical procedures. Scabbing along or adjacent to incisions may occur occasionally, especially in smokers. Such wound healing issues are readily managed with wound care with antibiotic ointment. Wound infections after a neck lift are very rare and are usually managed with antibiotics. Neck lift surgery costs approximately $4,819 on average, which does not include additional fees such as anesthesia or the surgical facility. The total cost of the neck lift procedure will vary from case to case, depending on the specifics of a patient’s surgical plan and if additional procedures are performed during the same operation. Once you have consulted with our plastic surgeon, he can provide you with a detailed cost quote that covers the fees associated with your customized procedure. If you have any questions regarding the cost of your neck lift, our staff would be happy to help you. Should you be interested in breaking your total cost into smaller, monthly payments, our team accepts plastic surgery financing options to help make paying for your procedure more manageable. I am thrilled with Dr. Zemmel and the results of my surgery. I would strongly recommend him to family and friends. His office is warm and inviting, and his staff is both friendly and professional. To learn more about neck lift surgery, or to schedule a consultation, please contact our office today.